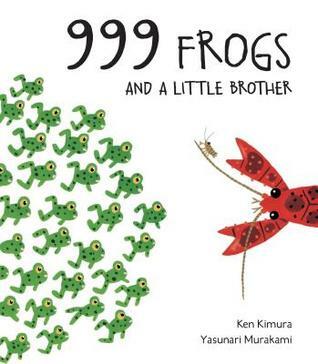 This book was cute and charming; the story follows the youngest of 999 frog brothers. The littlest frog develops slower than the others and as he becomes separated he goes in search of his big brothers and in the process becomes a big brother to a baby crayfish. The book is short and perfect for young readers ages 3 to 5, little kids who are barely learning to read. The way this book is written and the cartoons actually took me back to The Very Hungry Caterpillar, these books are for children so the 5 year old in me loved the book, the adult in me might find this book too short, but adult me isn't the target audience. The illustrations are very colorful and engaging, as such little children will love this book. The simple text makes it easy for young readers to grasp and understand what they're reading.